Are you looking for a quick way to improve your email marketing campaigns? Writing killer emails can be easy, once you know the tricks that smart marketers use. Here are 19 quick and dirty tricks that you can use to crush it with your next email campaign. The more simple and minimal your design, the more likely it will display correctly on all devices. OptinMonster uses the most minimal branding necessary–just one header image–and the body of the email is all one column. Why should someone open your email? Explain what’s in it for them from the get-go by emphasizing the big benefit in the subject line and the first few lines of your email. 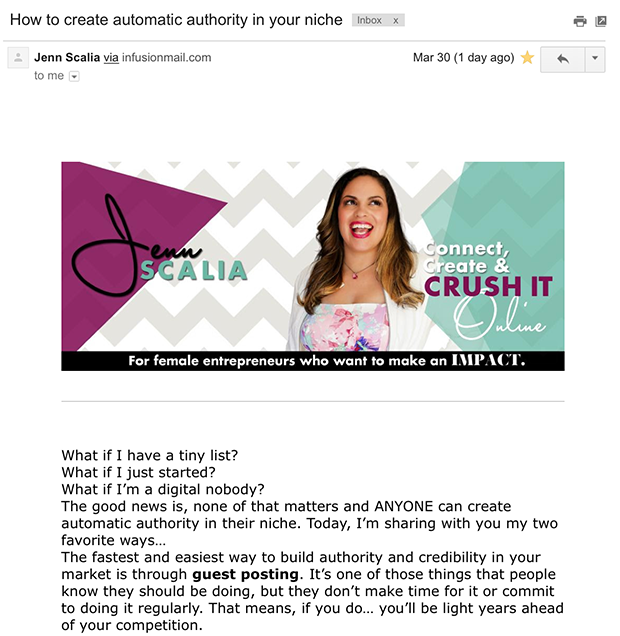 Jenn Scalia’s campaign about guest blogging makes the benefit perfectly clear from the subject line: “How to create automatic authority in your niche”. She then goes on to address her reader’s problems, and immediately explains how guest blogging can solve those problems. Give your subscribers access to something that no one else gets access to. This will give them the feeling that they are a part of an exclusive “club”, and they will be more excited to receive your emails. 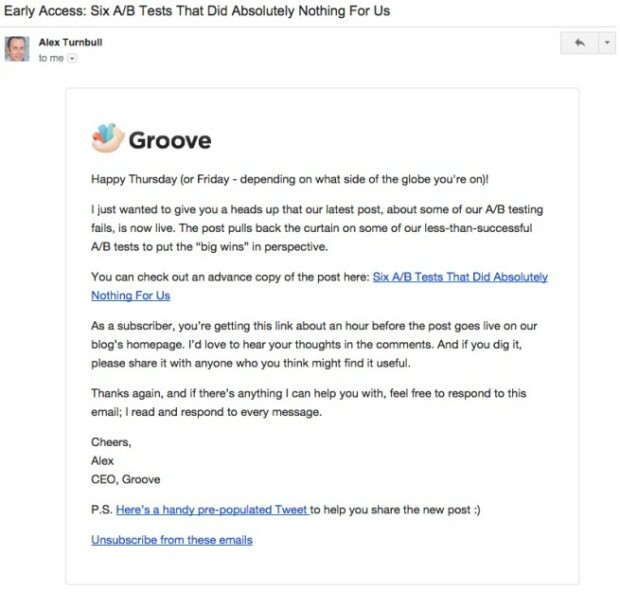 Groove gives their subscribers early access to blog posts, one hour before they go live on their homepage. David Siteman Garland occasionally sends small updates on his personal life, to tighten that bond between himself and his readers. Otherwise, it’s usually best to use the word “you”. This helps keep the focus on the reader, and what’s in it for them. Don’t make your readers think, or trip over your words. The easier your email is to read, the better! So use simple words, and shorter sentences. 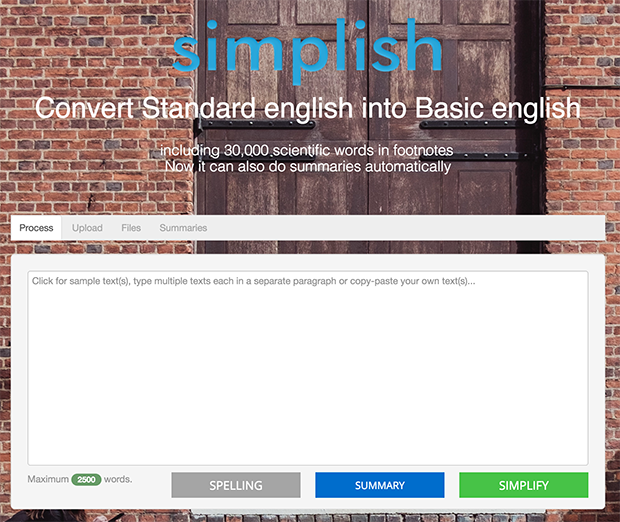 To make your email easier to understand, simply copy and paste it into a free online tool like Simplish. Long paragraphs are difficult for the eye to scan, and they can look overwhelming. Keeping your paragraphs super short keeps the reader moving through the content of your email. “You are presented with two articles: one has longer paragraphs, the other has shorter paragraphs. Which one will you choose? If you’re the average type of guy or gal, you will surely go for the one with shorter paragraphs. When you write faster, you let your ideas flow naturally, and you end up sounding more natural too. Just go ahead and put down whatever comes off the top of your head– you can always edit later. Writing better emails is similar to an elevator pitch: it’s important to keep your message as concise as possible. Avoid cluttering your emails with anything that is not necessary to accomplish your goal. For example, when Jon Morrow wants you to click on a link in his email, he only says enough to pique your interest, and then promptly signs off. Infuse your emails with personality, and they will be much more entertaining to read than bland, corporate speak. You can do that simply by using more descriptive or emotion-driven words. Emails with too many calls-to-action can often be overwhelming, and cause the reader to procrastinate making a decision on any one of your calls-to-action. So instead of asking subscribers to read your blog post, check out your new product, and like your Facebook page all in one email, send out a separate email for each call-to-action. If you want your subscribers to buy your products, they will have to eventually click on a link inside one of your emails to a sales page or a checkout page. Why not start getting them used to clicking links now? The best way to train subscribers to click is by offering incredible value with each and every link you give them. Make it really worth their while to click, and over time they will learn to expect good things on the other end of your links. 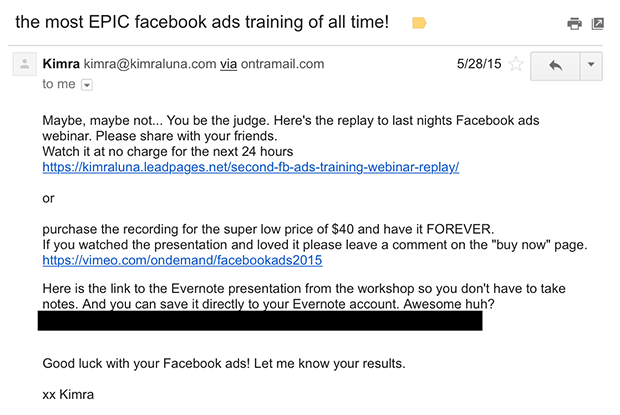 Kimra Luna almost always offers a free webinar or a cool download with each of her emails (and she never emails unless it’s something really important). Get your subscribers to engage with your emails by asking for their feedback. This kills two birds with one stone: it lets them know that their opinion matters to you, and it gives you great information about how to improve their experience with your brand. 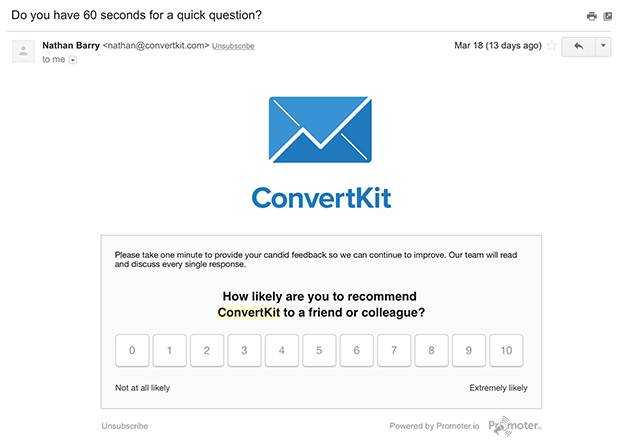 ConvertKit sometimes asks for feedback from their subscribers, and it only takes the subscriber 60 seconds to respond. A simple way to write better emails is by including something personal that most companies normally won’t. 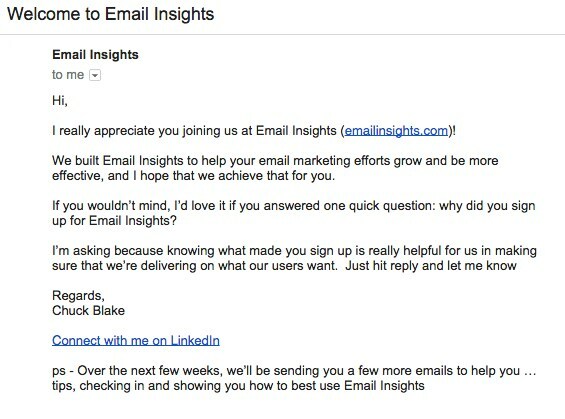 For example, Chuck Blake of Email Insights asks his new subscribers to connect with him on LinkedIn. Too much bold, italic, underlined, and colored text all in one email is hard on the eyes. Exclamation points should also be used sparingly: they are ok to use once, maybe twice, but much more than that and they will lose their power. 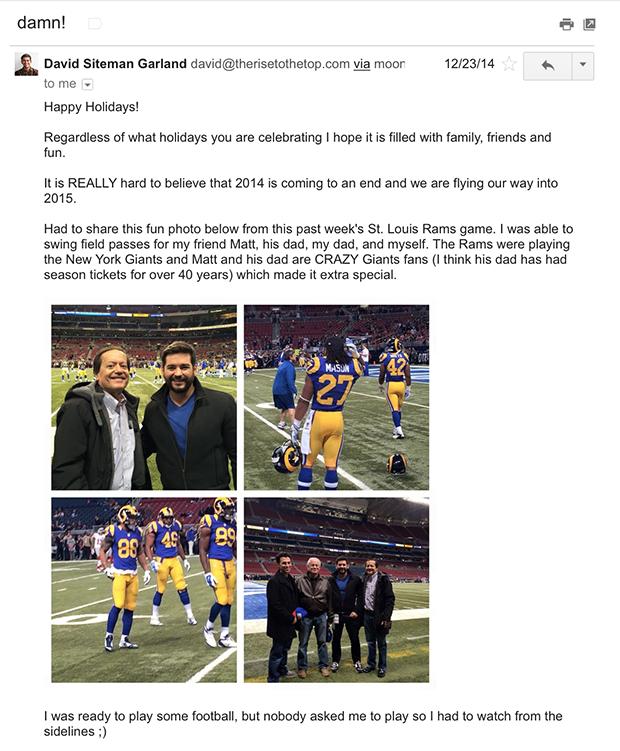 Always take a moment to read your email aloud before you send it. Reading your message aloud will make any mistakes, awkward phrasings, or intonation problems jump out at you, giving you a chance to correct them before you hit send. As a general rule: if you stumble over a sentence, your readers will too. Start reading other people’s emails with a more analytical eye. Ask yourself, was this message useful or a waste of my time? Was it clear or confusing? Was I excited to open it? Do I want to remain subscribed, or am I hovering over the unsubscribe button? Save the emails you like in a “swipe file”. If you use Gmail, all you have to do is create a new label to organize the emails you want to come back to for inspiration. You can even create categories for your labels. Do you know the best time of day for your subscribers to receive your emails? Make sure your email marketing campaigns are going out at appropriate times according to your subscribers time zones, rather than sending them all out at once. Unless all of your subscribers are from the same time zone, of course. The biggest problem with mass emails is making them feel personal and highly relevant to each individual subscriber. Pulling in personalized data is the solution to this problem. 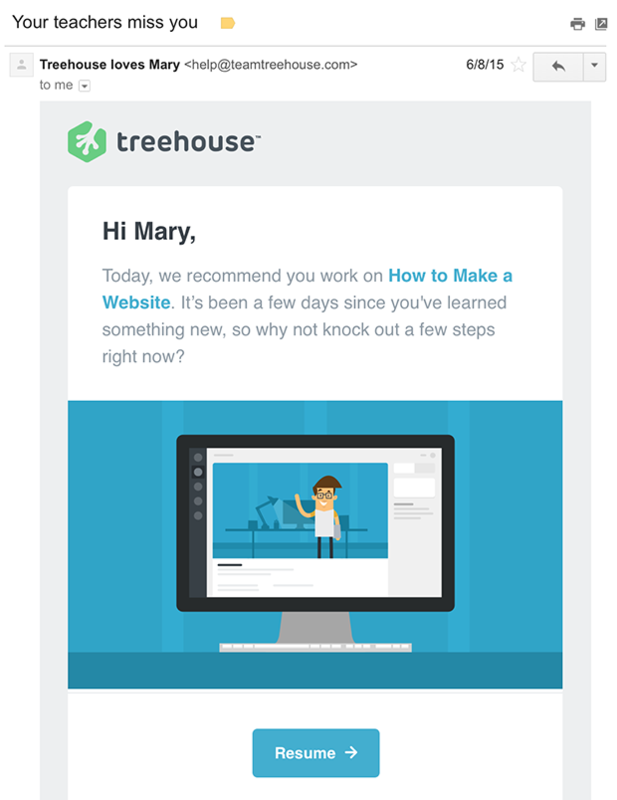 Treehouse uses personalized data in a number of different ways. For instance, they personalize the sender name (“Treehouse loves [Recipient Name]”). They also pull in data on what courses the recipient has been taking, and how long it’s been since they last visited to complete a lesson. The most important thing you can do to write better emails is to make your subscribers feel appreciated. Sometimes we are so wrapped up in discovering the best tactics that we forget the simplest way to do that: say “thank you”. Nathan Barry thanks his subscribers for responding to a survey. This not only makes them feel appreciated, but it also reminds them that they interacted with his brand, and how they responded to the survey. We hope this article gave you some quick and easy-to-implement ideas for improving your email marketing campaigns. 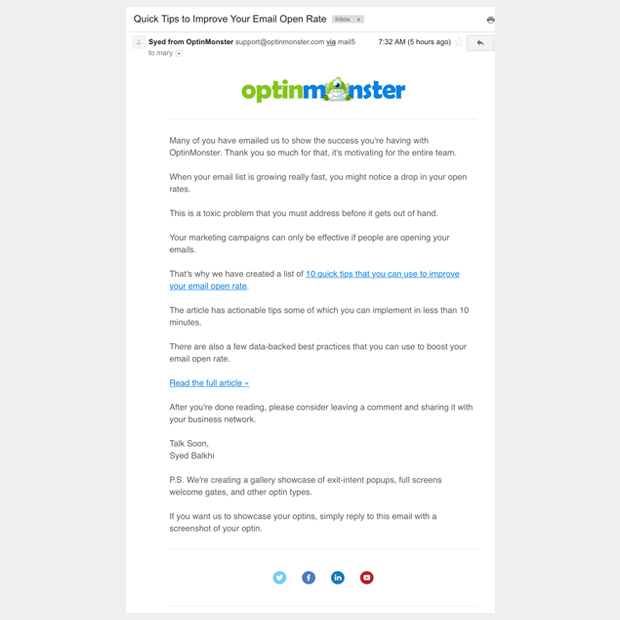 If you enjoyed this post, you may also enjoy 10 Easy Ways to Improve Your Email Open Rate. Which is your favorite quick and dirty trick for writing better emails? Let us know in the comments! Thank you, Mary for these details. I know getting a personalized email always grabs my attention sooner. Will put these into action more consistently to get better results. Awesome. I am so glad that you are going to be putting this info to good use, Patricia!